Robert Kennedy III and Amaryllis Fox with their newborn daughter, Bobby. The Kennedy family has added a new member to its ranks. 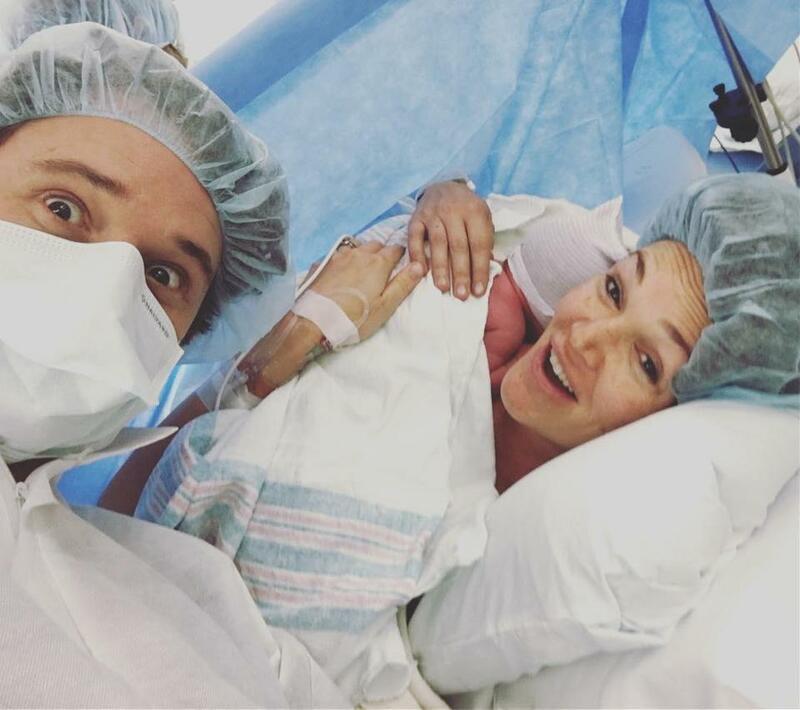 Fox posted a series of photos to Instagram over the weekend, announcing that their daughter, Bobby, was born on Jan. 7. Magical hours and days these are. . Baby Bobby arrived safe and snug on January 7th at 6:27 pm. She?s named for her father, grandfather and great grandfather, carrying their legacy into a future where women stand shoulder to shoulder with their fathers, brothers, and sons to do the work of love in the world. May she hold in her heart their fathomless commitment to human dignity, peace among nations, and protection of our natural world. . During this pregnancy, Bobcat and I traveled many thousands of miles together, visiting distant corners of this beautiful earth, working with some of the world?s most poor and finding, again and again, human spirit so rich. . After that long journey, this littlest fur cub was born on the first day of epiphany, the season set aside by ancient christians to mark the realization that love vanquishes all. As I hold her softly breathing in my arms, surrounded by love in our warm den, that couldn?t feel more fitting. . Every day, we, each of us, experience the mysteries of life, of love, of family, of grace. May we revel in the vastness of the great beauty we share, strengthened to bridge the small details we do not. May we do right by one another, friends and strangers alike. Look after one another, protect one another, love one another the way we do our littlest ones. Because in the end, each of us is just a baby grown. Each of us, a caretaker in waiting. Destined to save and savor one another. United in a community I can only dream may one day be as filled to overflowing as our little bear pack feels tonight. Kennedy, who also goes by Bobby, is the grandson of the late former US attorney general and senator Robert F. Kennedy. Robert F. Kennedy Jr. also took to Instagram to share the news, posting both a photo of his wife, Cheryl Hines, holding the newborn, as well as a group family photo. “Spending my 65th Birthday with my children and my new granddaughter, Bobby,” he wrote.